Last year, the Scottish Government launched its first round of consultation on post-2021 Investment. 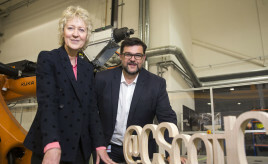 SFHA and Construction Scotland Innovation Centre (CSIC) announced an upcoming funding call at a workshop with development managers from across Scotland, held on Thursday 22nd November. The Planning Bill has passed Stage 2 in Holyrood. Two significant amendments have been made that could help increase the supply of housing. 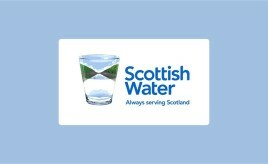 After a technical review and extensive stakeholder engagement, Scottish Water has confirmed that Water for Scotland (WfS) and Sewers for Scotland (SfS), utilised by the Developer Community to design and construct Water and Waste Water Infrastructure, have been updated. Version 4.0 of each document was released on Tuesday 16th October 2018. 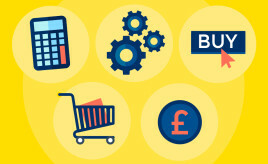 The Scottish Government has been working to reform and improve public sector procurement. As part of this work, a steering group has overseen a Construction Procurement Manual for bodies spending significant public funds. Housing associations will be covered by the guidance in the manual. SFHA has formed a partnership with CSIC. 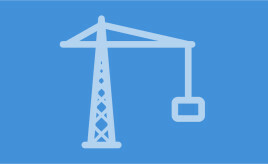 The aim of the partnership is to promote innovation in development and asset management and to help housing associations with challenges such as energy efficiency and skills shortages in the construction industry. A new planning bill is going through the Scottish Parliament. 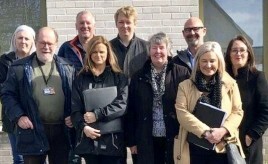 The SFHA has been working with partners to influence the bill with the aim of securing more affordable homes and to ensure planning helps to create better places. 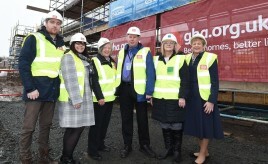 CCG is using Cross Laminated Timber (CLT) on the 143 affordable homes it is building for GHA in the Gallowgate, Glasgow – one of the biggest housing developments currently being built in the city. 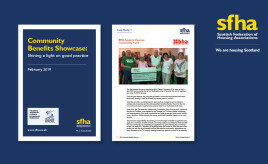 New mixed-tenure housing solution developed on behalf of Southside Housing Association by CCG. 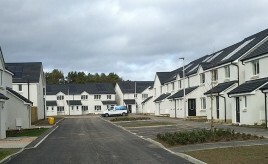 Thirty-six affordable new homes, comprising one, two and three-bedroomed properties, built in Arbroath. 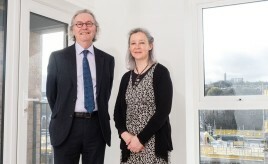 Following concerns raised by housing associations and developers, the SFHA, Homes for Scotland and Scottish Water have been working together with the aim of improving joint work on new build developments. 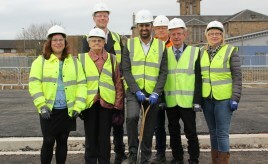 GHA and Provanhall Housing Association building new, energy-efficient houses and flats at Auchinlea Road. PoLHA worked alongside property developer Bellway and architects EMA to create a total of 31 affordable homes, including eight homes for mid-market rent.